During our two week ‘home leave’ to the States, we squeezed in a visit to New York City. I’ve mentioned previously that NYC is a favorite of ours during the holiday season; and was always a yearly tradition to visit when we were still living stateside. 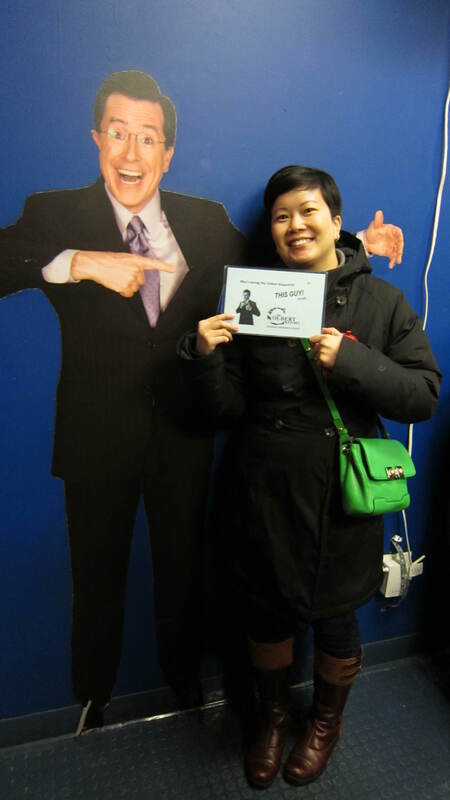 Since ‘The Colbert Report’ is going off air in December, we were lucky to have scored “tickets” to see a live taping. So what I mean by “tickets” is that when you get confirmation online, it’s a “ticket” to stand in line in hopes of receiving actual tickets. Just imagine standing in the elements for two hours in freezing temperatures, but in the end, it was all worth it. 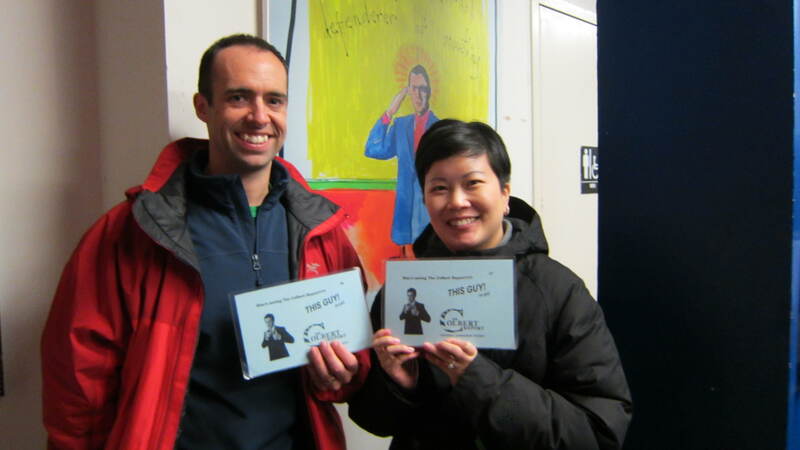 We got our real tickets and the fun began. 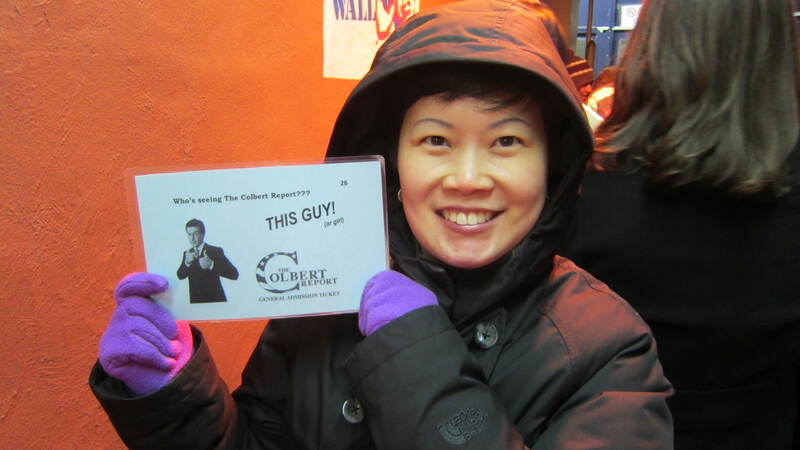 Hubs has been a long time fan of ‘The Colbert Report’ and I watched it on occasion. Once inside, we were seated and the warmup comic came out. He was really entertaining and joked with a few audience members, including myself. I still had my jacket on and he said “it’s not going to snow in here, so you can take off your jacket” or something to that effect. 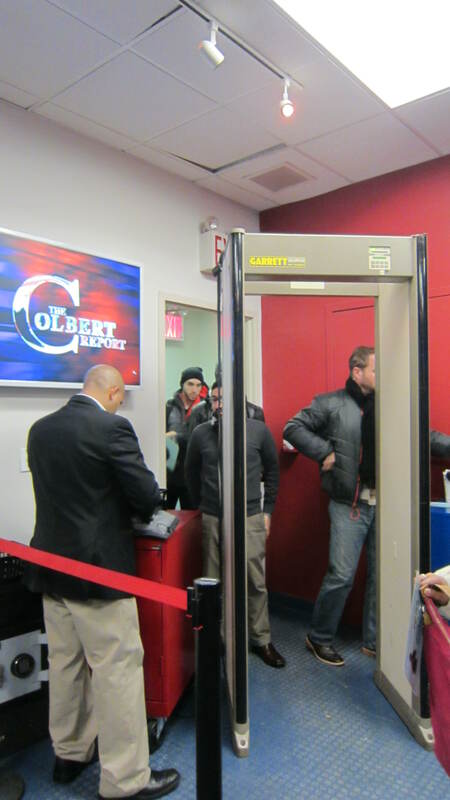 Stephen Colbert then came out, before the taping began, and the audience could ask him questions while he was out of character (You do know his TV persona is a character, right?). The taping part of the show was neat. They filmed sequences out of order and the guest that day was Eva Longoria (best known for her role on Desperate Housewives). 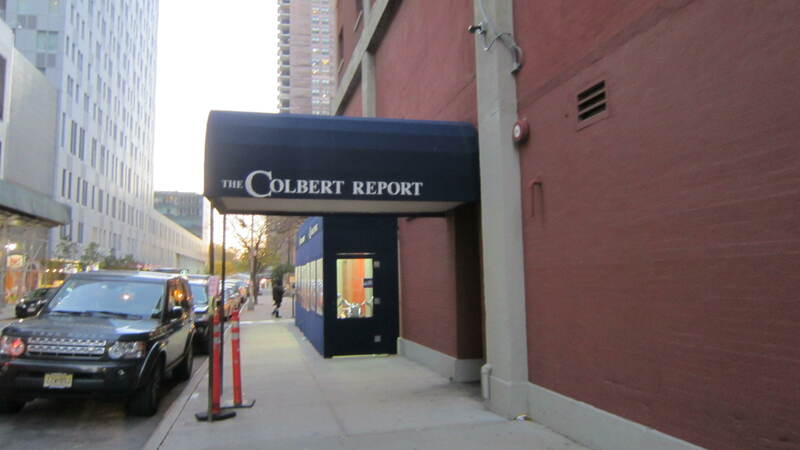 Overall, it was great fun seeing Mr. Colbert in person and watching the show while it was taping for later in the evening. We watched the episode later and tried to see if we could see ourselves. Hubs found us, but only for a tenth of a second and blurred. Only we would know who we were in audience. 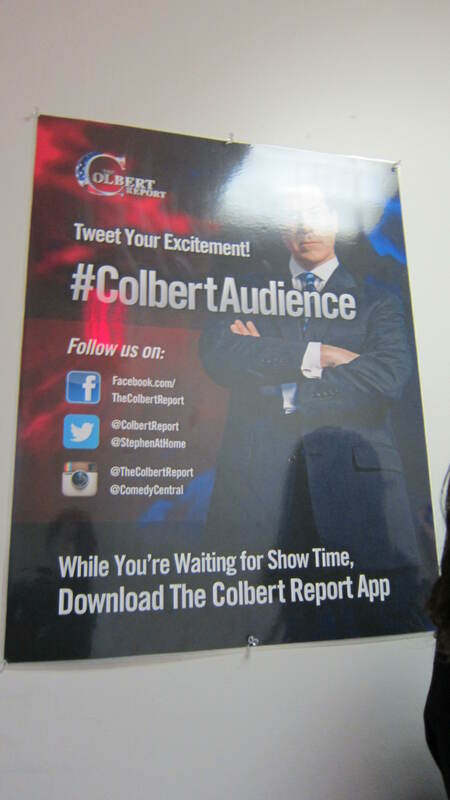 Pictures weren’t allowed in the studio and during taping, but the waiting room was pretty cool.